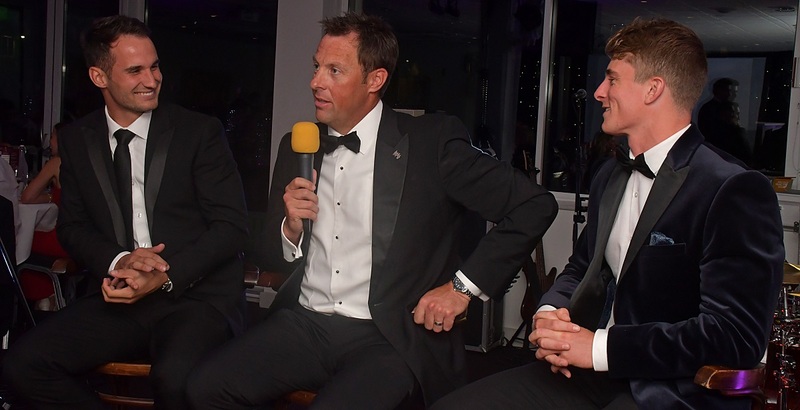 The Cooper Associates County Ground hosted the 2018 Players’ Dinner on Saturday evening. 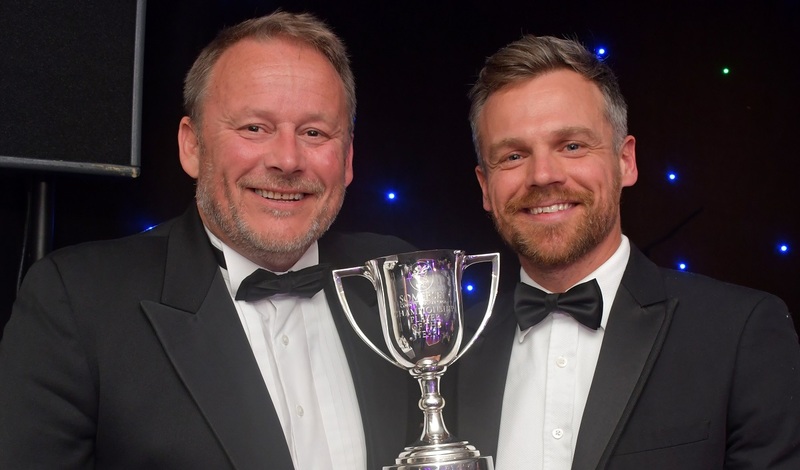 Over 200 people attended the event, which was held in the County Room of the Colin Atkinson Pavilion, to celebrate the achievements of the season. 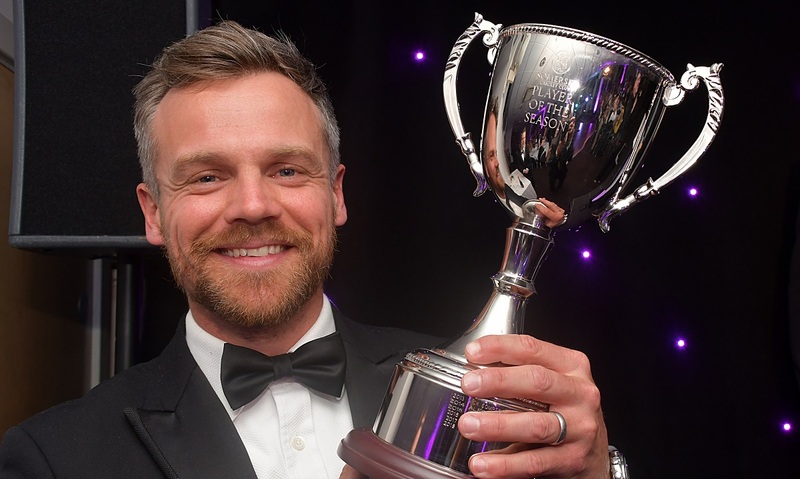 After making their way along the red carpet guests were treated to a champagne reception in the Long Room before they made their way down to the County Room for dinner and the 2018 awards. Host for the evening Ollie Cox welcomed the players in to the dining room where they received a standing ovation. Somerset CEO, Andrew Cornish opened proceedings and said how much he had enjoyed his first season in office. 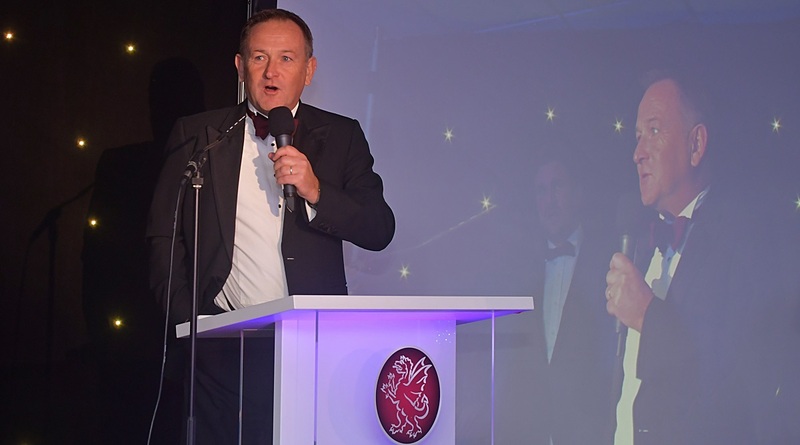 Club Chairman, Charles Clark then emphasized the uniqueness of Somerset County Cricket Club and gave his thoughts on the last 12 months. Guests then enjoyed a delicious three course dinner, followed by coffee and chocolate truffles. Champagne Moment of the Year – Johann Myburgh for his century against Essex Eagles in the Vitality Blast. Player in the Community Award – Tom Abell. Tom Pearce Award for the Young Player of the Year -Tom Banton. White Ball Player of the Year – Lewis Gregory. Championship Player of the Year – James Hildreth. Supporters Player of the Year – Lewis Gregory. 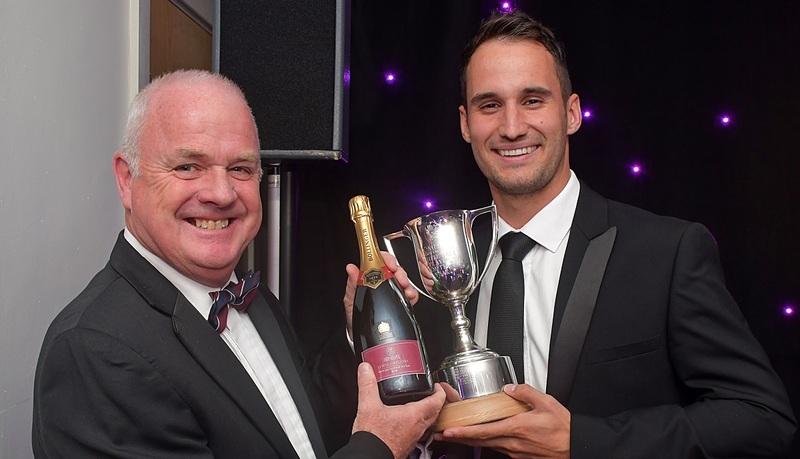 Player of the Year – James Hildreth. Presentations for Western Storm were also made on the night. Western Storm Supporter’s Player of the Year – Smriti Mandhana. Western Storm Player’s Player of the Year – Heather Knight. In addition to the presentations Marcus Trescothick, Tom Abell and Lewis Gregory talked with Ollie Cox, and later in proceedings Andy Hurry, Jack Leach and Peter Trego answered questions from the floor. Andrew Cornish closed the evening by thanking everyone who had attended before live music from The Haus Band saw the evening through to its conclusion.